℗ 2017 Word Entertainment LLC, A Curb Company. 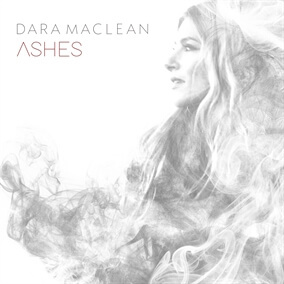 Dara Maclean's latest single "Ashes" is a powerful anthem that tells the story of Christ's sacrifice on the cross and proclaims His triumph over sin and death. Featuring Jesus Culture artist Chris McClarney, this single emphasizes Jesus' incredible love for us, offering a declaration of victory and recognizing the new life He has given us, "The Son was dead, for love He bled. But He rose from the ashes, He rose from the ashes. His victory now our destiny cause He rose from the ashes, He rose from the ashes." We are excited to bring you the Original Master MultiTracks and instrument parts in RehearsalMix for "Ashes" today and encourage you to download your own copy of the single on iTunes.